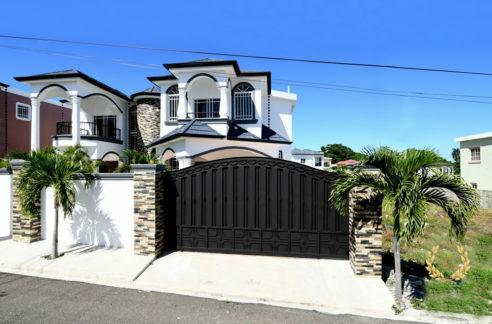 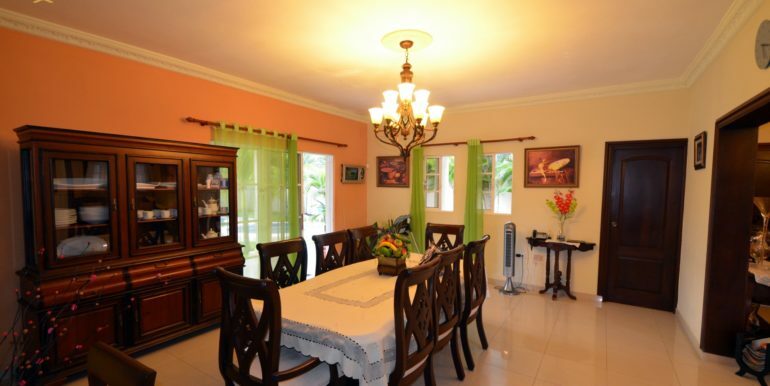 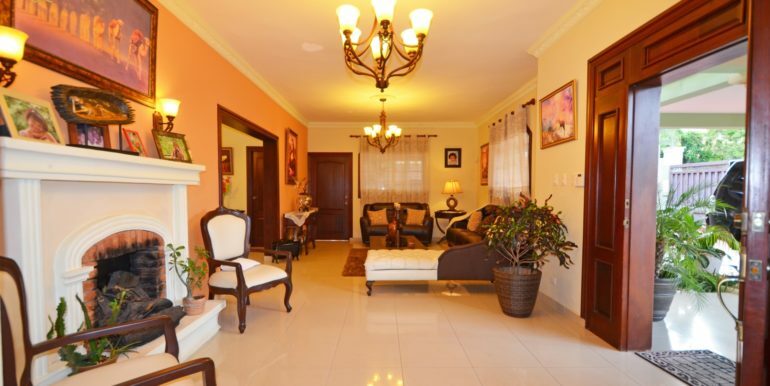 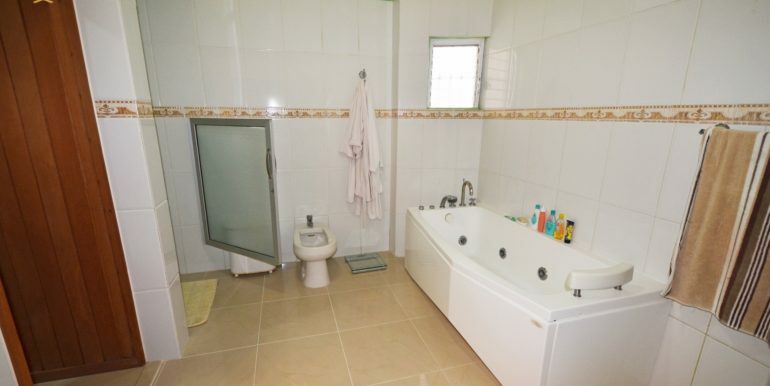 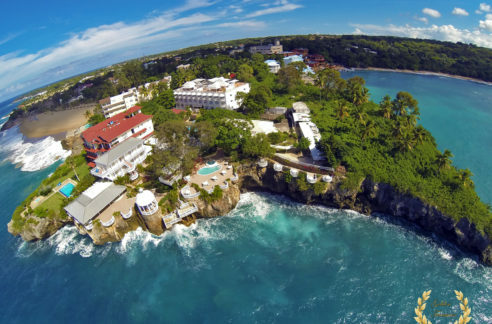 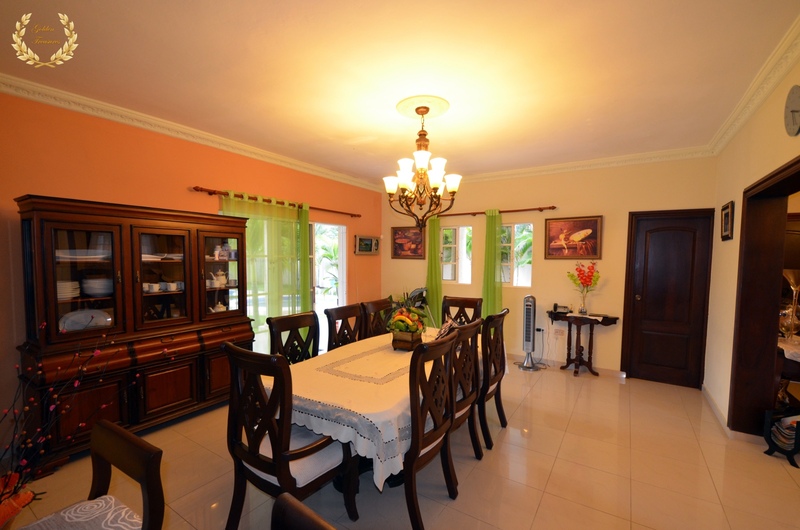 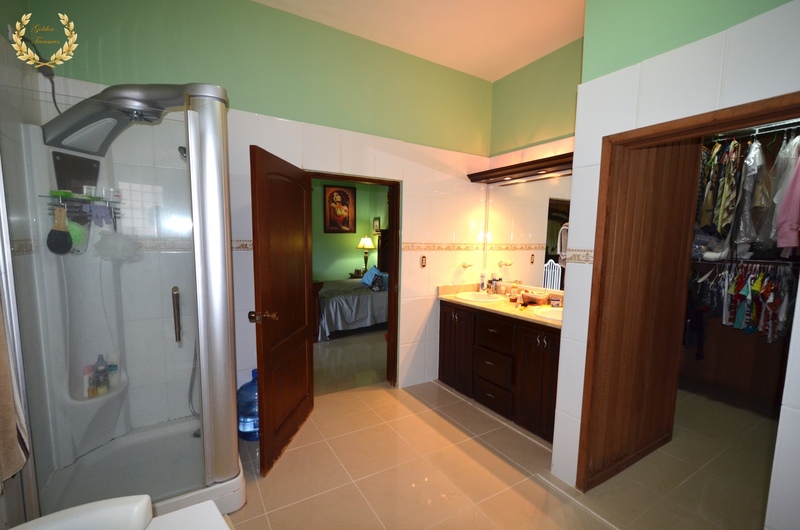 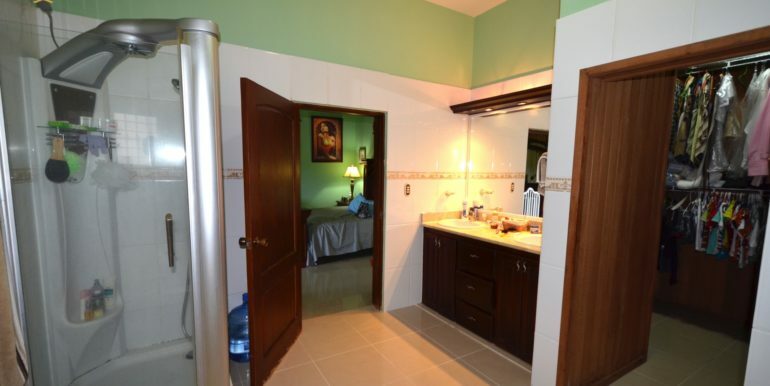 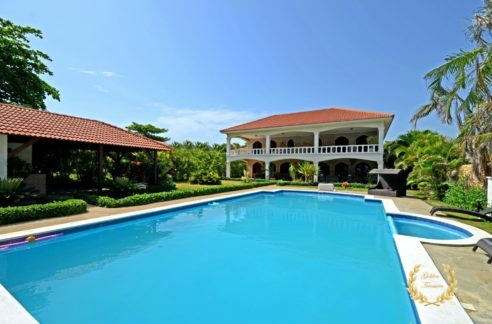 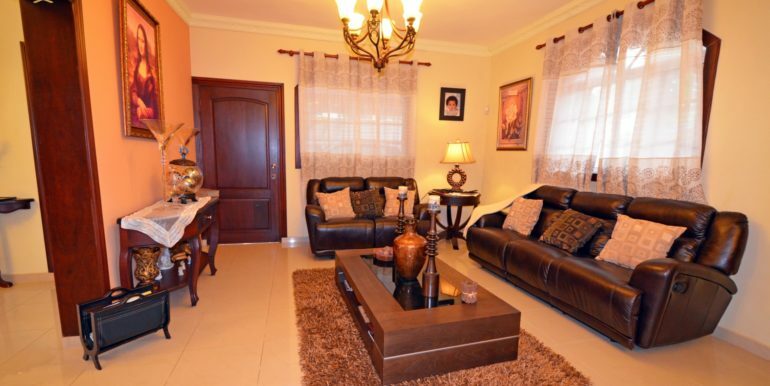 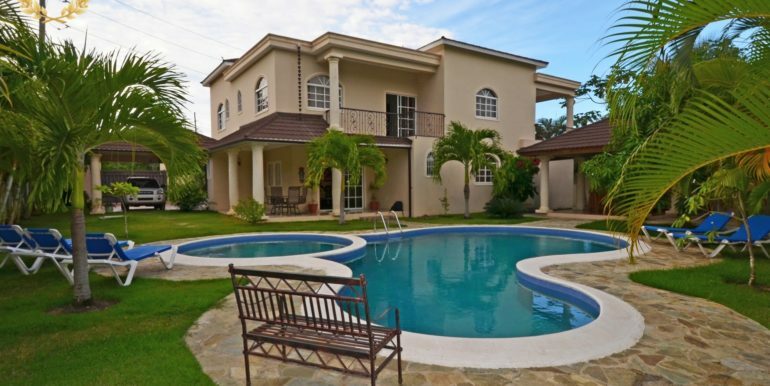 Large, elegant luxury house for sale in Puerto Plata, Dominican Republic featuring 5 well appointed suites, 7 bathrooms, Living room, Dining room, terrace, ample swimming pool, gazebo with bar, indoor and outdoor Jacuzzis, 2 balconies with views to the mountain and the ocean, respectively. 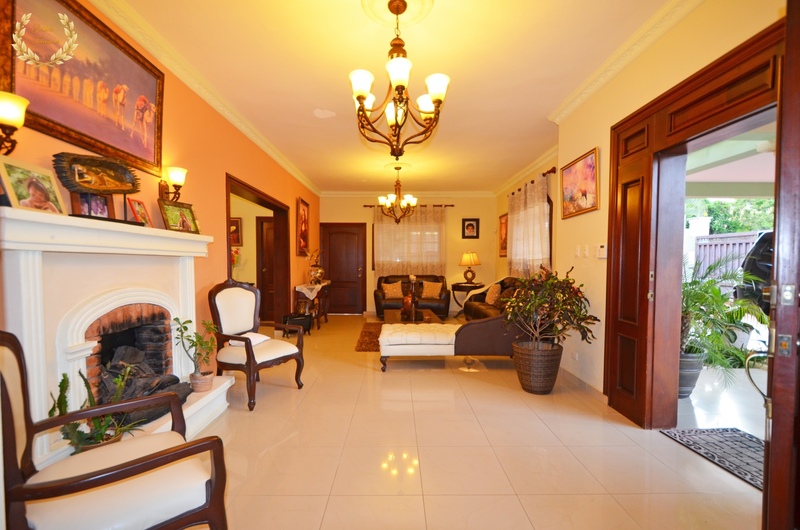 The quality of materials and finish clearly shows high end taste and purpose. 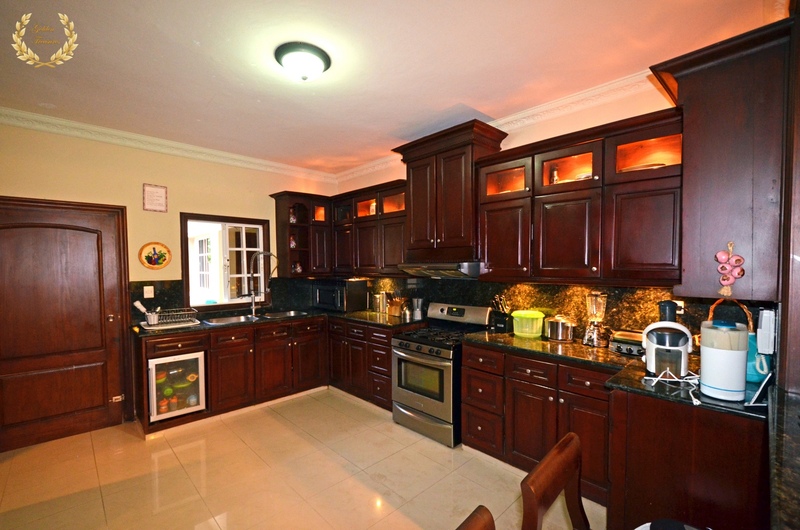 All the doors and cabinets are crafted in solid mahogany wood, the floors are imported ceramic and the sliding windows French-style. 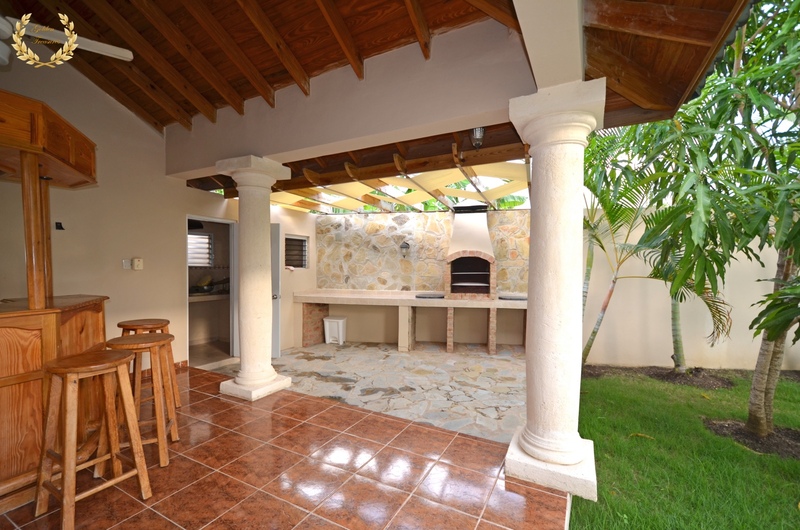 The main entrance has a decorative fireplace with realistic light effects, custom made. 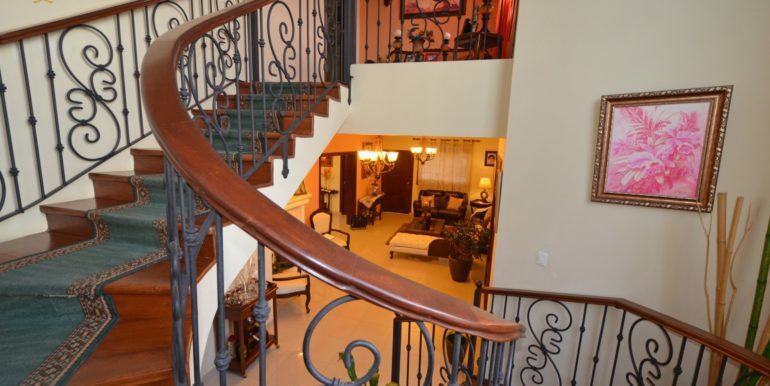 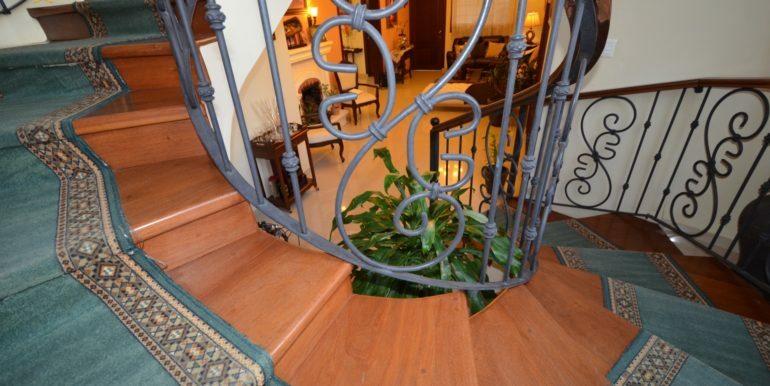 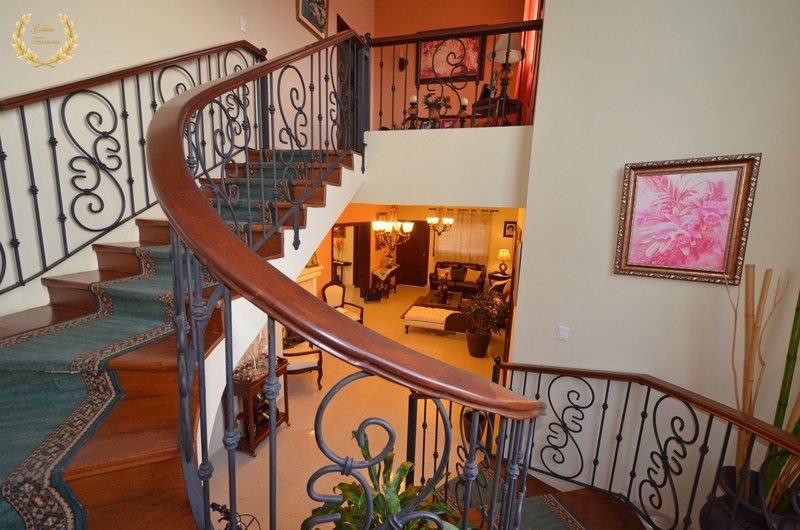 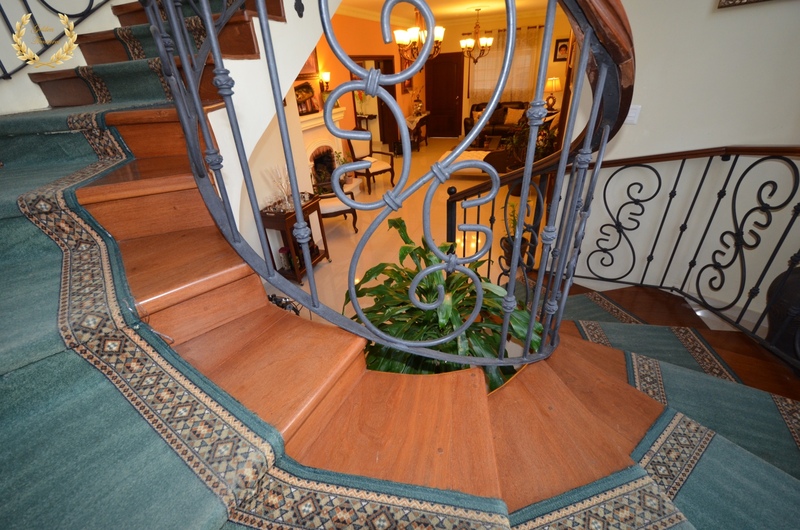 The winding staircase that leads to the second floor has handcrafted mahogany wooden steps and wrought-iron railings in a stylish nautilus spiral. 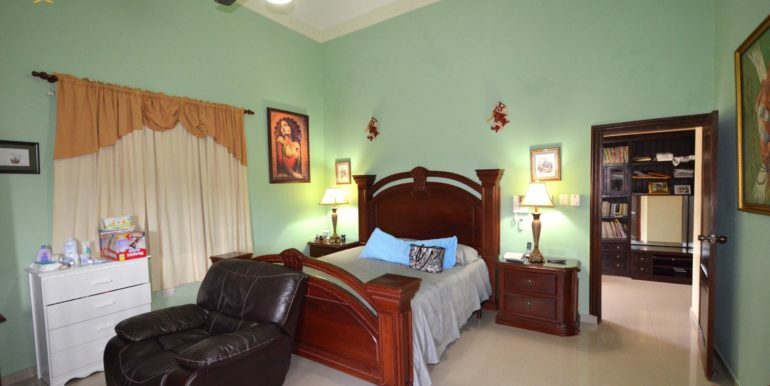 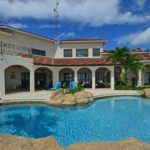 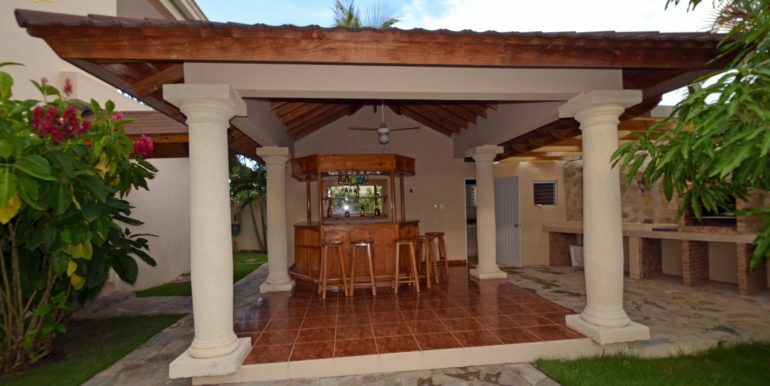 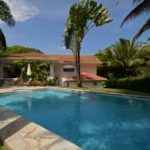 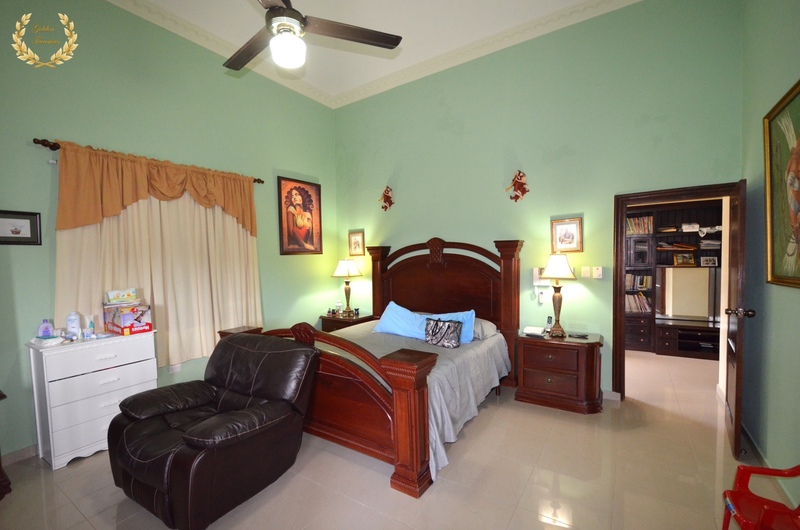 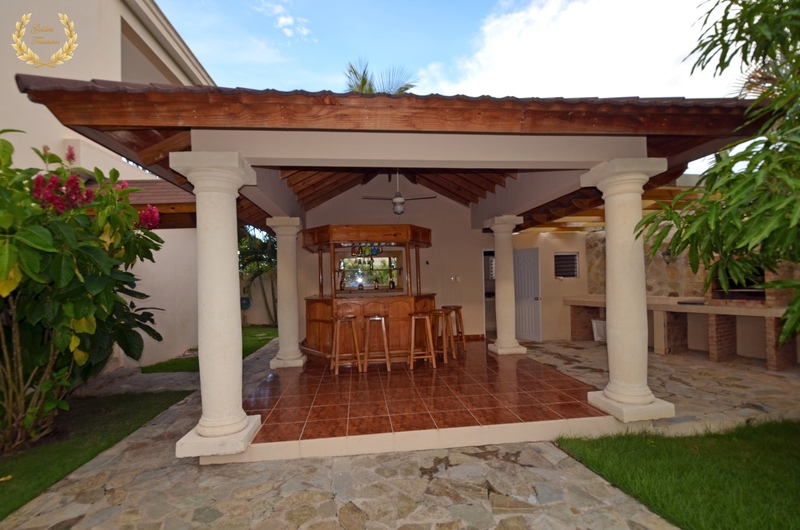 This gorgeous house in Puerto Plata has a second floor lounge and also a study or reading area separating the top floor suites. 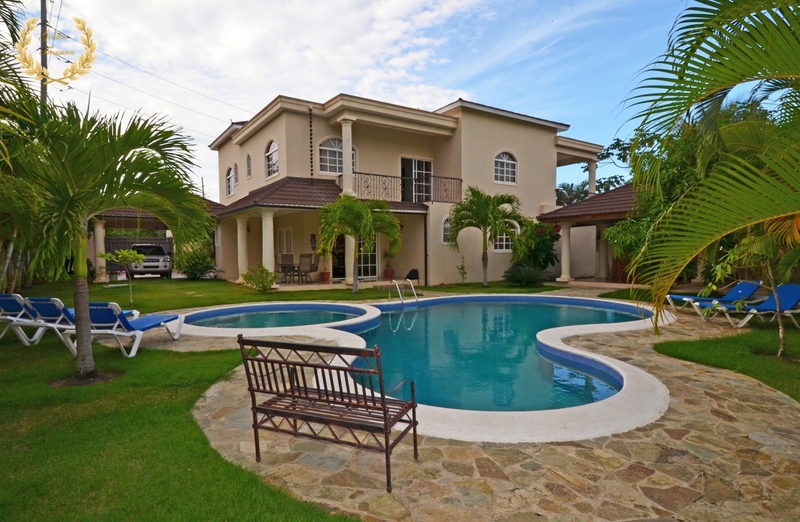 Solid neoclassic columns frame the second floor balconies as well as the terraces throughout the house, and the gardens provide plenty of space to grow flowers and trees. 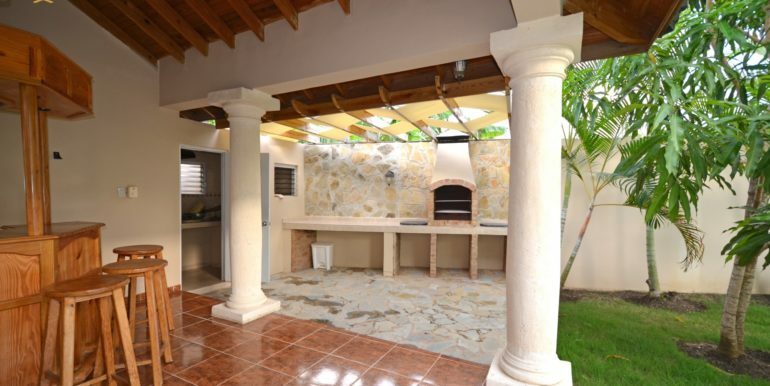 The property is surrounded by a 4-meter high wall, keeping privacy at all times. 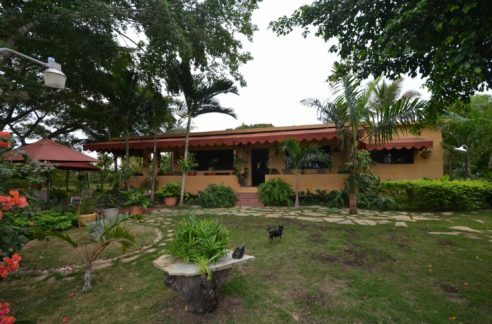 The house also has Intercom, Alarm system, air conditioning, power door, BBQ, dog kennel, laundry area, service room and covered car port for 6 cars. 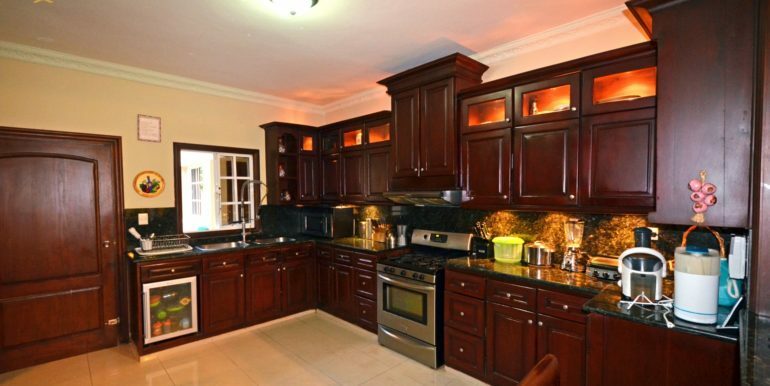 The Kitchen has embedded lights in the cabinets, in true luxury fashion. 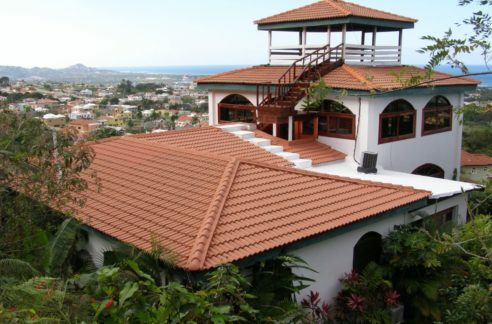 The covered area measures 405m²= 4359.384ft² and the land size is 1035m²= 11140.65ft². 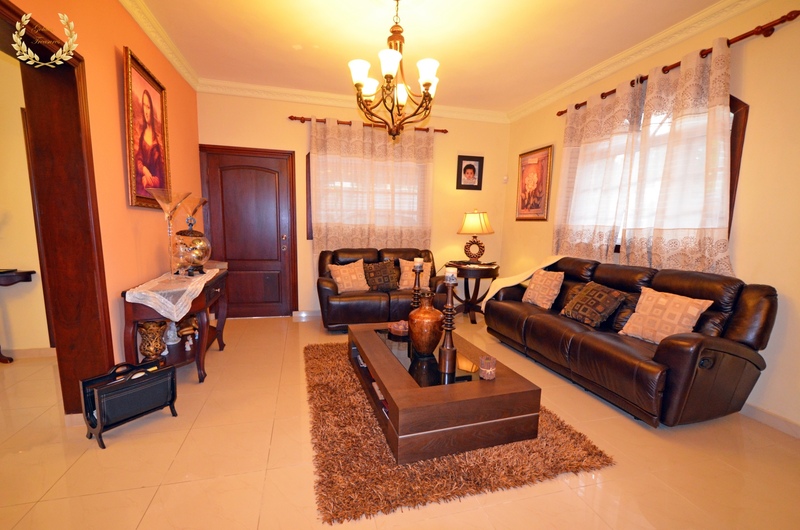 A video is available to view the house.